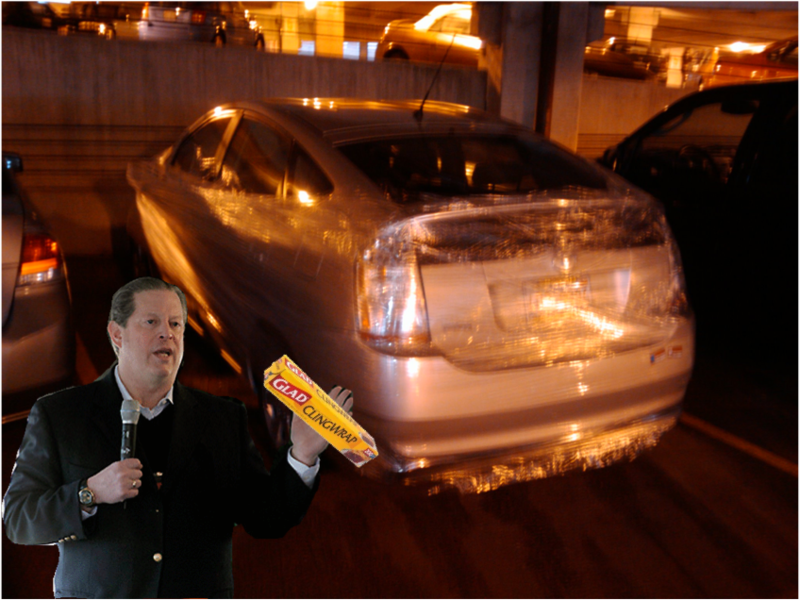 Ever since Al Gore’s little film there has been a bit of a frenzied panic going on in many areas, but especially in the car industry. Everyone has sudden obsession with green technology in an effort to save the earth from turning into an igloo in two days time without warning. Now I’m not one of those people who says that global warming is not real, not by a long shot, but the overwhelming majority of people do not actually know anything about what actually it is, and have just jumped onto the panic bandwagon like a bunch of spontaneous, ignorant, morons. This hysteria has become a detriment to much of the automotive industry because it has forced many companies to rush development and quality has suffered. The poster child for this green automotive foolishness is of course the Toyota Prius. Many people act like it is the answer to the world’s problems, when in fact it is a half assed effort that has only slowed a few of the world’s problems at best, probably not even that. The matter of fact is that there really was not any real technological improvement with the Prius or other mainstream hybrids in the early 2000s. They just took an electric motor and put it in sync with a gasoline motor, both of which have been around since the early 1900s or earlier, and put them in sync with one another on a car, something which was also done in the early-mid 1900s. They then branded it “hybrid” and gave it the allure that it was something new and revolutionary, when in fact it was not. Same pieces of the puzzle just put together differently, but definitely not a revolutionary new invention that would actually mark real progress in automotive technology. It then went on to sell in huge numbers due to the hype from global warming panic, so it became a market success, and because of this success the rest of the industry decided to jump on the same bandwagon. So here we are today in 2011 and real advances are just now starting to be made. From 2003 or so until at least 2010 real technological progress was hindered by the hybrid craze. Now, in 2011, full electric cars are still not a viable possibility for unhindered transportation, and hydrogen technology has been largely kicked to the back seat. This is all because everyone got all comfortable with the hybrids and companies just produced them to meet demand instead of putting their full efforts into real technological progress. Idiots who want everyone on earth to stop eating meat because animals fart…..How about we kill all the animals and then everyone commits suicide because we fart too…. good idea? 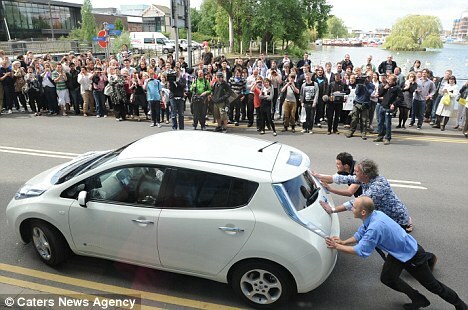 The really ironic part is that many of the band-wagoners who bought these cars did it to “help save the environment”. In fact, because of their special batteries and the methods used to dispose of them after their run life is over (around 110k miles), these cars will do more damage to the environment than any normal gasoline or diesel car would. Fuel economy and emissions are both small factors compared to the to toxic damage that will be cause by the disposal of hybrid power units. 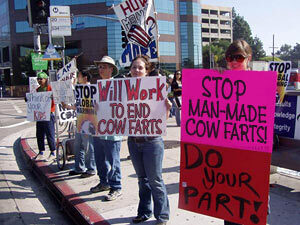 A cow pollutes more in a year by farting than a gas guzzling Escalade. I would even say that the average V12 Lamborghini, that gets 8mpg, uses less fuel per year than the average Prius because Lambos tend to be driven only a few times a month whereas a Prius is typically driven everyday. That is right the ostentatious rich guy does less damage with his silly toys than one ignorant, enviro-conscious person does with their attempts to be a part of the green trend. Deterioration due to toxic acid. Imagine on a much bigger scale it possibly leaking into the water supply and the soil. How many million hybrids have been sold? The simple fact for current times is a full electric car is not yet a viable option for the real world consumer because battery technology just is not ready yet. Do not buy a Nissan Leaf, a horse or a bicycle can travel further in one day, and is much more efficient and clean to the environment. The Tesla, while very cool and fast, is a toy for rich people, and will not be relied on for daily transportation by most of its customers (if you can drop 100 grand on a little 2 seater like that, then you most likely have another car as well). However, the Tesla is basically the only viable full electric car right now, capable of well over 300 miles on a single charge, but that makes sense because good technology always costs a lot of money at first. Nissan is bringing out the leaf at a very affordable price and the technology just isn’t there yet. It shows in the number of leaf owners who have had their cars die on them after only 60 miles or so. I’m sorry but the Leaf should have never made it into production yet. Any car that requires you to rent another car to drive long distances is just not a viable form of transportation, period full stop. So in the full electric realm, unless you are loaded and can afford six figures for a Tesla don’t bother with full electrics just yet, maybe try again in 5 years. Tesla Roadster, 100% electric, 300+ miles/charge, and around $130,000. The Prius’ style of hybrid is becoming outdated in favor of new “Plug in hybrids” like the Chevy Volt. In my opinion, this is the first step in the right direction in many years. While the Volt does have a gasoline motor like the old style does, unlike the old style the motor is used only for sending power to the electric motors, and does not drive the wheels directly. This means that Plug in hybrids can travel a certain distance (usually 25-50 miles) on electric power alone, the same as a full electric car like the Leaf. Unlike the Leaf though, when the batteries do run out of juice you will not be left stranded on the side of the road because the car can run its electric motors off of the gasoline motor. This means there is no limit to the distance a plug in hybrid can be driven, and if you drive less than 25-50 miles a day (and charge it at night) you will never use a drop of gas and reap all of the benefits of a full electric car without any of the drawbacks, especially if you drive under 50 miles on a typical day. Now I am not by any means against new automotive technology, I am quite for it. I just want to see steps at real progress being made, and I hate seeing the industry stooping to the level of the bandwagoning, eco-idiots who really don’t know anything at all about cars, the environment, or reality in general. I especially cannot stand these extremists who want everyone to be a vegetarian, most of the protein available comes from eating animals and we need it to survive. We are at the top of the food chain and we didn’t get here by eating celery. I am against these ignorant bandwagoners, and if you are reading this and you’re one of them: shame on you as a human being with any thought capacity whatsoever. Fear sells, plain and simple, and much of the population will subscribe to such tactics by spending a lot of money on stuff they didn’t know they needed. That is not the road to real progress though, that is simply just a fad. Real progress is beginning to be made by the likes of Porsche/VW/Audi, Ferrari, BMW, Formula 1, Fisker, Mercedes, Tesla, and other high end brands. It is my opinion that true progress must be made at the top of the industry and then make its way down to the common consumer because all new technology is very expensive at first. Large technical innovations cannot really be made in the affordable realm because price is everything and many corners will be cut. Hopefully the industry is getting on the right track now and the true technological leaders will take the reigns once again and real technological advancements will be made soon. Nissan Leaf maximum range test: Only 132 mi, at a constant 35mph, that is the most it will do, and nowhere in the real world could you do a straight, flat 35mph for 132 miles. PS: the other problem is that Americans have some sort of issue with buying diesel cars, whereas Europeans have been using them for decades and have been seeing mpg numbers as high as the “new” hybrid cars for just as long. WAKE UP AMERICA……but I’ll save this for another article. Electric cars such as the Nissan Leaf are great environmentally speaking. However, the infrastructure isn’t in place yet in order to support a large number of electric cars. First we need to build a grid that can sustain a large number of users.